petition: Ice Bucket Challenge: Stop Waste Your Money on Unproductive Testing on Primates! Ice Bucket Challenge: Stop Waste Your Money on Unproductive Testing on Primates! Primates are the closest species tu human, but they are still using for cruel testing of neurological research include ALS (Amyotic Lateral Sclerosis). Testing on primates is not meaningful and reliable as well (even tens of years of research have not brought any significant results that would be leading to discovering a cure), but the most importantly they are causing suffering of tens of thousands of primates although there are more efficient and ethical methods of testing. Every year in the U. S., more than 125 000 primates are imprisoned in laboratorie, where they are abused and killed in invasive, painful and terrifying experiments. There is the same situation in ALS disease research although there are trustworthy and effective options without using animals. Stop supporting useless waste of money to unproductive and untrustworthy ALS research testing on primates or other animals. There are ethical alternatives for testing, so use them. Do not support cruelty on species closest to human - to us. 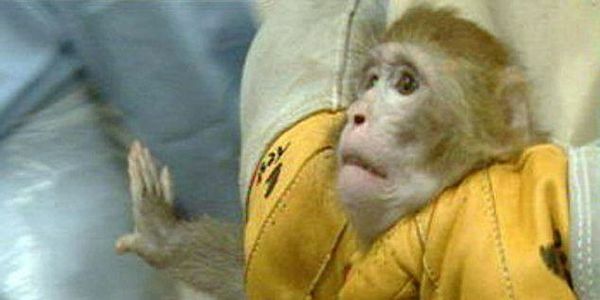 We demand to stop testing on primates in this case at all. There is no reason for harming innocent animals whatsoever. Be kind, be cruelty free and support compassion over harmin – especially where is no need of harming as in this case at all.